Campaigners battling to save Coventry’s Hippodrome from demolition have launched a last-minute bid to save the building by having it listed. They are preparing a written application to English Heritage to get the art deco building listed before the bulldozers move in. If they are successful in attracting interest, a visit to the site will be made. If listed-building status is conferred it will prevent the former Coventry Theatre from being demolished. Irene Shannon, of the Coventry Society, said the theatre should be saved as an example of 1930s architecture. She said English Heritage have not had the opportunity to inspect the building and give it listed-building status. Campaigners say the building, currently occupied by Gala Bingo, should be converted into a Civic Centre. She added that the Belgrade Theatre is too small to be able to attract the big name shows that need a large audience to fund them. 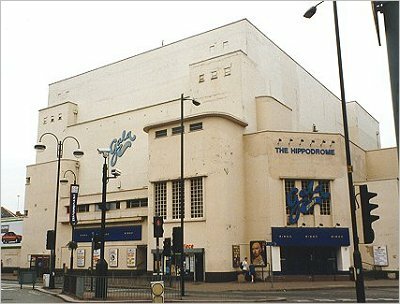 The Hippodrome is to be demolished to make way for a millennium square as part of the Phoenix Initiative. In its place there will be a new frontage for the Museum of British Road Transport, and map of the world featuring the different time zones. Coventry City Council say there is no economic case to re-open the Hippodrome as a theatre, and the building is in too poor a state and too unwieldy to bring benefit to the area. Phoenix Initiative boss Chris Beck said he was unconcerned by the application to give it listed-building status.